Can Spinach Thin Your Blood? Spinach supplies your body with an abundance of nutrients without adding excess calories to your diet. One cup of raw spinach contains seven calories. Spinach does not contain substances that thin your blood, although one nutrient in this leafy green vegetable may thicken your blood. This property may interact with blood thinner medications, making it important to discuss your diet with your doctor. 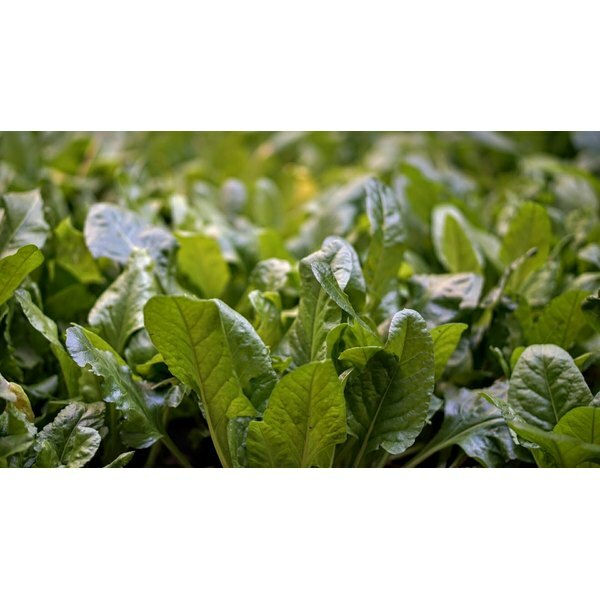 Spinach comes in numerous varieties, such as baby, smooth-leaf, semi-savoy and savoy. This nutritious leafy vegetable is a common ingredient in many dishes, including salads, sandwiches, side dishes and main courses. You may prepare spinach by sautéing, steaming, microwaving, or simply washing the leaves. Spinach is a cool-season vegetable that grows best during the spring or fall seasons, although you can usually find spinach in your grocery store throughout the year. Spinach is a rich source of several nutrients, especially vitamin A. This leafy green vegetable contains vitamin A in the form of beta-carotene, an antioxidant in the carotenoids family. Your body uses this form of vitamin A to support the health of your eyes, immune system, skin and bones. One cup of raw spinach contains 1,688 mcg of beta-carotene, as well as 8.4 mg of vitamin C and 58 mcg of folate. It also supplies your body with almost 245 mcg of vitamin K, the nutrient that plays a role in blood clotting. Vitamin K is a fat-soluble vitamin that helps to create the proteins responsible for blood coagulation. A vitamin K deficiency can lead to thin blood that takes a long time to clot, possibly resulting in excessive blood loss from accidents and injuries. Very few people experience serious vitamin K deficiencies. The recommended daily intake of vitamin K for men is 120 mcg per day, and 90 mcg for women. The University of Maryland Medical Center warns that you should not eat foods with a high concentration of vitamin K while taking warfarin, a type of medication that thins your blood. The vitamin K in spinach may interfere with the medication, counteracting the anti-clotting properties and rendering it ineffective. How Many Calories Does Cabbage Have?